The central focus of this special issue of Psychology of Religion and Spirituality, with guest editors Ralph W. Hood Jr., Heinz Streib, and Thomas J. Coleman III, is to challenge psychologists and cognitive scientists to move beyond atheism and agnosticism by investigating “non-religious worldviews” as full-fledged constructs rather than as a solely negative identity. We invite manuscripts (theoretical, empirical, and method) focused on exploring atheism, agnosticism, and non-religion from multiple perspectives by addressing the question of complexity and multidimensionality in measurement, psychological mechanisms, and theoretical models. Do agnostics differ psychologically from atheists? Atheism, a next step in human evolution? Nonbelief as a complex, adaptive system? NSRN Annual Lecture 2016: Is atheism a religion? This panel will consider atheism and religion from the perspectives of psychology and anthropology and will seek to bring scientific theory and evidence to bear on these questions and establish how it might (and might not) make sense to liken atheism to a religion. The event will take place at UCL – 6pm, 2 December 2016. Opening the new monthly issue of the [SSNB]-NSRN [methods blog series], Ann Taves explores one of the central questions in contemporary nonreligious studies – and a long-standing religious studies, too: how to understand and describe the object of study. Providing an overview of recent propositions arising from psychology, sociology and anthropology, she sets out a proposal for a meaning systems approach. The new focus on ‘nonreligion’ helpfully expands our focus beyond the traditional focus on atheism or ‘nonbelief’. [v] In characterizing our object of study as nonreligion, we are indicating that we want to think about it – whatever it is — in relation to religion. In effect, we are setting up a comparison. But we lack two things: an overarching framework in which both religion and nonreligion fit and specific features that we want to compare. It is as if we set out to compare apples and oranges without realizing that they are both fruits or specifying which features of these two fruits we wanted to compare. Both Thomas Coleman and Lois Lee have made significant attempts to address this issue. Coleman et al. propose ‘horizontal transcendence’ as a way to characterize experiences that people view as profoundly meaningful and at the same time neither religious nor spiritual. [vi] ‘Experiences that people consider profoundly meaningful’ are an important feature that – I agree – we want to compare, but they are only one potential aspect of ‘nonreligion’. We need something more encompassing. Lee makes a case for ‘existential cultures’ as an umbrella term that captures theist, atheist, humanist, and other nonreligious subcultures and allows us to consider lived existential practices as well as more explicit existential beliefs. [vii] In applying this terminology, however, Lee struggled to conceptualize those she characterized as ‘anti-existential’ (or Schnell as existentially indifferent[viii]), that is, those who didn’t want to think about existential questions. Moreover, in defining ‘existentialism’ broadly in terms of ‘ultimate questions,’ she highlights a feature that – as she acknowledges — has long been associated with the concept of ‘worldviews’. 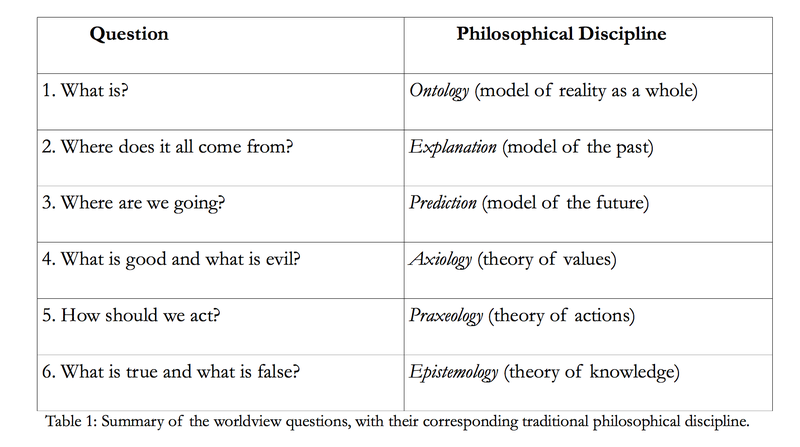 Variations on these BQs have been used to structure world religions textbooks[xviii] and textbooks in the history and philosophy of science,[xix] where they provide a framework for comparison. Although worldviews can be used to compare elaborate philosophical and religious systems, we do not need to conceive of worldviews as explicit or well developed. They can be implicit or explicit, taken for granted or reflected upon, and surfaced on a need-to-know basis, through interaction, formal dialogue, or active cultivation. Worldviews, nonetheless, still smack of ‘beliefs’ and don’t capture the range of practices, institutions, or everyday ways of life that we associate with religions and spiritualities, nor do they provide a framework for analyzing how implicit or explicit worldviews interact with these other aspects of life. Although the MS literature has been primarily concerned with ‘situations’ that stand out because they are traumatic, we can think of ‘situations’ as the generic context in which everyday or lived meaning is made. The situations or events considered could range from the ordinary to the extra-ordinary, the traumatic to the ecstatic, or the mundane to the highly significant. They would, thus, include ‘experiences that people consider profoundly meaningful,’ some of which, as Coleman et al. suggested may be considered as instances of ‘horizontal transcendence’. [xxvii] Situations and events do not need to be described in the ‘thin’ terms characteristic of psychologists, but can be richly characterized in the socio-cultural-environmental terms that characterize research in history, anthropology, and religious studies. In characterizing situations more richly, however, humanists should not lose sight of the MS researchers’ interest in dynamic processes, e.g., the role of GMS in the appraisal of situations or events, the interactions between GMS and SM in those contexts, and the way that meaning is discovered and transformed in relation to situations or events. Based on our deeper immersion in the particulars of religious and nonreligious contexts – whether historically or ethnographically – we can seek to identify the factors that make a difference in these dynamics across worldviews and cultural contexts. Lee’s conception of existential cultures could be assimilated with this approach. She clearly views existential cultures as constituted by the meaning making processes inherent in everyday life. As she observes,[xxviii] ‘thinking of meaning making, not as a narrow, philosophical practice but as something enacted in multiple ways, small and large, in everyday life calls into question the idea that large groups of people can be easily located outside the existential cultural field’. Within both the MS and worldview literature,[xxix] there are those that would push this point farther, claiming that all organisms – not just humans — require a GMS or worldview, rudimentary as it might be from a human perspective, in order to function. If we view meaning systems this broadly, it allows us to think about them within an evolutionary framework, asking why and under what conditions humans have sought to elaborate the explicit worldviews we think of as philosophies and religions. Leontiev, Dmitry A., ed. 2015. Positive psychology in search for meaning. Routledge. Originally published as a special issue of the Journal of Positive Psychology. Markman, Keith D., Travis Proulx, and Matthew J. Lindberg, eds, 2013, The Psychology of Meaning. Washington, DC: APA Press. 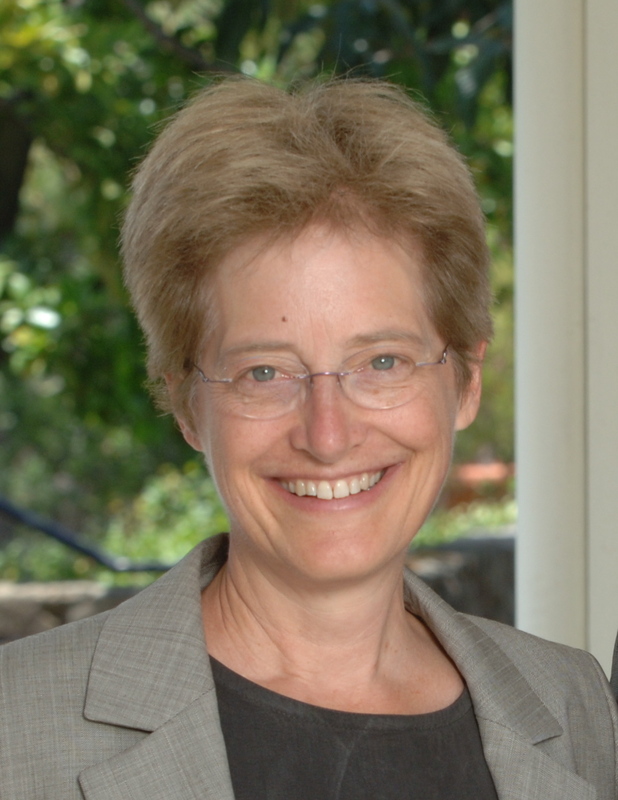 Ann Taves is professor of religious studies at the University of California, Santa Barbara where, among other things, she is designing an introductory course on “Comparing Religions and Other Worldviews” and supervising the interdisciplinary Religion, Experience, and Mind Lab Group. She is the author of numerous books and articles, including Fits, Trances, and Visions (Princeton, 1999) and Religious Experience Reconsidered (Princeton, 2009). Her new book, Revelatory Events: Three Case Studies of the Emergence of New Spiritual Paths, is forthcoming from Princeton in October 2016. [i] Thanks to Tommy Coleman, Lois Lee, and Ray Paloutzian for their helpful feedback and comments. [ii] Roy F. Baumeister, 1991, Meanings of Life. Guilford; Crystal Park and S. Folkman. 1997, ‘Meaning in the context of stress and coping,’ Review of General Psychology 1, 115-144; Crystal Park, 2010, ‘Making sense of the meaning literature: An integrative review of meaning making and its effects on adjustment to stressful life events,’ Psychological Bulletin 136(2), 257-301; Keith D. Markman, Travis Proulx, and Matthew J. Lindberg, eds, 2013, The Psychology of Meaning. Washington, DC: APA Press. [iii] Crystal Park, 2005, ‘Religion and meaning’, in Paloutzian and Park, Handbook. Guilford; Crystal Park, 2013, Religion and meaning, in Paloutzian and Park, Handbook, 2nd ed. Guilford. [iv] Raymond F. Paloutzian, 2005, ‘Religious conversion and spiritual transformation: A meaning-systems analysis’, in Paloutzian and Park, eds., Handbook of the Psychology of Religion and Spirituality. Guilford; Raymond Paloutzian, Sebastian Murken, Heinz Streib, and Sussan Rossler-Namini, 2013, ‘Conversion, deconversion, and spiritual transformation: A multi-level interdisciplinary view’, in Paloutzian and Park (eds), The Handbook of Religion and Spirituality, 2nd ed. Guilford. [v] Lois Lee, 2012, ‘Talking about a revolution: Terminology for the new field of Non-religion Studies’, Journal of Contemporary Religion 27(1), 129-139. [vi] Thomas J. Coleman III, Christopher F. Silver, and Jenny Holcombe, 2013, ‘Focusing on horizontal transcendence: Much more than a ‘non-belief’, Essays in the Philosophy of Humanism 21(2), 1-18. [vii] Lois Lee, 2015, Recognizing the Non-religious: Reimagining the Secular, Oxford: Oxford University Press; Lois Lee and Stephen Bullivant, in press, The Dictionary of Atheism, Oxford: Oxford University Press. [viii] Tatjana Schnell, 2010, ‘Existential indifference: Another quality of meaning in life’, Journal of Humanistic Psychology 50, 351-373. [ix] Markman et al. 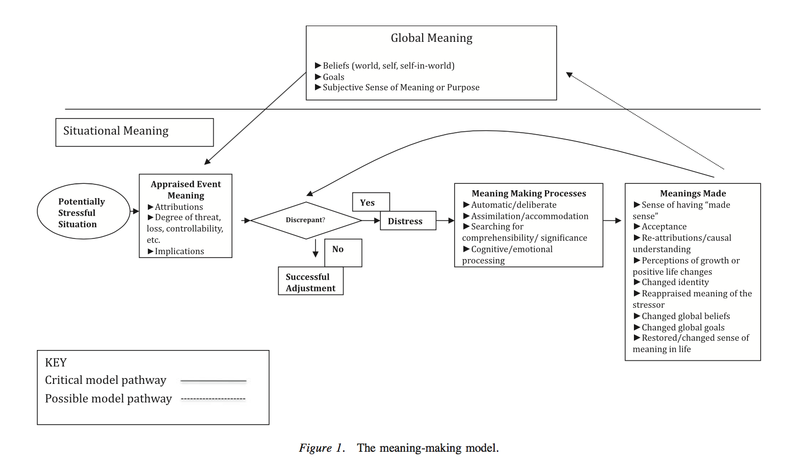 (Psychology of Meaning, 1) acknowledge the key role that existential philosophy and psychology played in reflecting on the BQs in a nonreligious context, but indicate that, while ‘once the province of existential philosophy, existential psychology, and the related clinical literature, meaning is a word that appears with greater frequency within the social, cognitive, and cognitive neuroscience literatures’. The shift from ‘existential’ to ‘meaning’ highlights the issue of central concern for existentialists without appropriating their distinctive self-descriptions, and, at the same time, allows to us to shift our focus to processes of meaning or sense making across a wide range of disciplines, contexts, and even organisms. [x] David K. Naugle, 2002, Worldview: The History of a Concept, Eerdmans. [xi] Ninian Smart, 2000, Worldview: Crosscultural Explorations of Human Beliefs, 3rd ed. Prentice Hall; Mark Juergensmeyer, 2010, ‘2009 Presidential Address: Beyond war and words: The global future of religion’, Journal of the American Academy of Religion 78(4), 882-895. [xii] Christa Anbeek, Hans Alma, and Saskia van Goelst Meijer, under review, ‘Contrast experiences and social imaginaries as spaces for truth-seeking’, in Guido Vanheeswijck and Hans Alma, eds. Social Imaginaries in a Globalizing World, DeGruyter; Andre F. Droogers, and Anton van Harskamp, 2014, Methods for the Study of Religious Change: From Religious Studies to Worldview Studies, London: Equinox. [xiii] Melissa Landau, Mark J. Soenke, and Jeff Greenberg, 2013, Sacred armor: Religion’s role as a buffer against the anxieties of life and the fear of death, in Kenneth I. Pargament (ed), APA Handbook of Psychology, Religion, and Spirituality, vol. 1: 105-122. [xiv] Jesse Bering, 2002, ‘The Existential Theory of Mind’, Review of General Psychology 6 (1): 3–24; Thomas J. Coleman III, and Ralph W. Hood, Jr, 2015, Reconsidering everything: From folk categories to existential theory of mind, Religion and Society: Advances in Research 6 (2015): 18-22. [xv] Park, ‘Making sense’; Raymond F. Paloutzian, 2017, Invitation to the Psychology of Religion, 3rd ed. Guilford. [xvii] Vidal, C. 2008,‘Wat is een wereldbeeld? (What is a worldview? )’ in Van Belle, H. & Van der Veken, J., eds, Nieuwheid denken. De wetenschappen en het creatieve aspect van de werkelijkheid, Acco, Leuven, 4. [xviii] Stephen Prothero, 2010, God is Not One. Harper One; Brodd, Jeffrey, et al. 2016. Invitation to World Religions, 2nd ed. Oxford University Press. [xix] Richard DeWitt, 2010, Worldviews: An Introduction to the History and Philosophy of Science, 2nd edition, Wiley-Blackwell. [xxii] Johannes Quack and Cora Schuh, eds, forthcoming, Religious Indifferences: Between and Beyond Religion and Nonreligion, New York: Springer. [xxiv] Roxane Cohen Silver and John Updegraff, 2013, ‘Searching for and finding meaning following personal and collective traumas’, in Markman, Proulz, and Lindbergh, eds. Psychology of Meaning, APA Press. [xxv] Dmitry A. Leontiev, 2013, Personal meaning: A challenge for psychology, Journal of Positive Psychology 8 (6), 459-470; Crystal Park and Login S. George, 2013, Assessing meaning and meaning making in the context of stressful life events: Measurement tools and approaches, Journal of Positive Psychology 8(6), 483-504. [xxvi] Samantha J. Heintzelman and Laura A. King, 2013, On knowing more than we can tell: Intuitive processes and the experience of meaning, Journal of Positive Psychology 8 (6), 471–482. [xxvii] Coleman et al., ‘Horizontal transcendence’. [xxviii] Lee, Recognizing the Non-religious, 172.